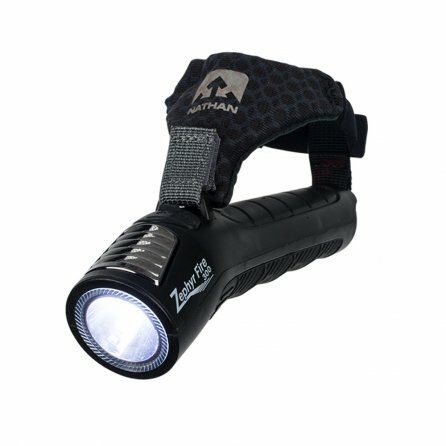 Light the way even in the darkest conditions with the Nathan Zephyr Fire 300 RX Hand Torch. With a 24-degree angle down, this hand torch will let you pick up anything on the road with a 300-lumen light, perfect for night running. The adjustable hand strap makes carrying easy and it also comes with a red tail light and emergency siren in case things get dicey. The Nathan Zephyr Fire 300 Hand Torch is a must have for outdoor runners that are always ready to put some late-night mileage on their shoes.